"Can I get more clarinet in the monitor" isn't something normally heard from the stage at a rock show, but then Brasstronaut aren't you're average rock band. 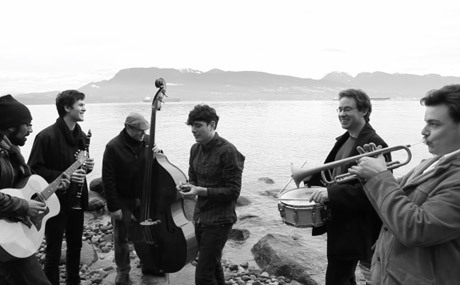 A six-piece experimental pop act from Vancouver, the group mix the standard guitar, bass and drums with keyboards, horns and, yes, clarinet to achieve their intricate textures and grooves. Live, songs from the band's just-released Mt. Chimaera, such as "Heart's Trompet" and "Slow Knots," were given extra muscle creating a visceral experience as each song built to spectacular climax. Tight scheduling ended the band's set just as it was picking up steam, but this was a definite highlight of the busy CMW weekend.